For more than 18 years, Atlas Grill has awed the Minneapolis dining scene with its gracious service, warm ambiance, and signature Persian-style fire-roasted meats and stews. While acclaimed for a sophisticated and stylish menu with Persian flavor, Atlas draws inspiration from dishes around the globe – living up to its name. From their Gulf shrimp with citrus beurre blanc sauce to their Persian kabob-style method of grilling, Atlas Grill serves up items that lock in flavors for enjoyment from start to finish. Just in time for Nowruz (Persian New Year), join us at Atlas Grill for a delicious, Iranian culinary experience as we dine on beef Koobideh (traditional Persian ground beef kabob); fire-roasted chicken kabobs marinated with saffron; lemon and onion stew; Ghormeh sabzi (seven-herb stew with braised beef); basmati rice; Shirazi salad (chopped tomato, cucumber, and red onion with lime vinaigrette); and more. Owner and executive chef, Abbass Shabazi will discuss Atlas’ traditional menu and unique grilling method, while tracing the meal back to its Persian roots. With more than 33 years of culinary experience, Mr. Shahbazi has been the executive chef at Atlas Grill since its opening. He has also played an instrumental role in developing the menu for Good to Go Mediterranean Deli and Sphere Kitchen, where he currently oversees culinary operations. 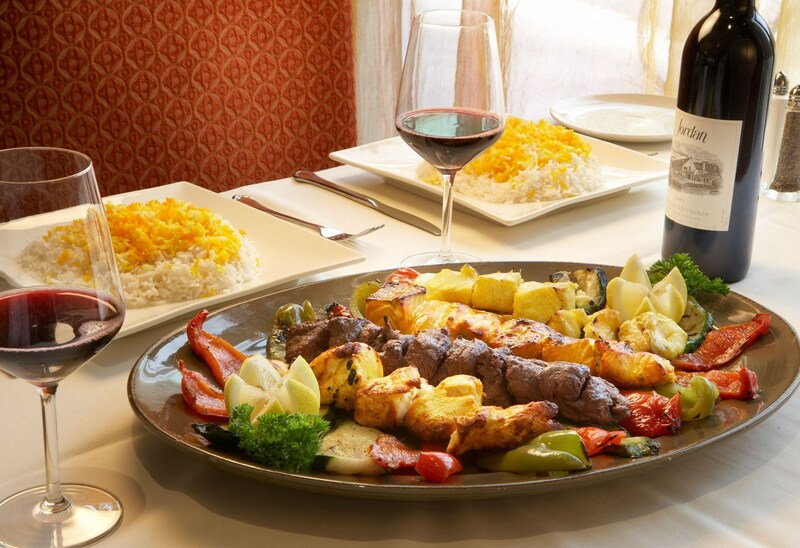 To all his culinary endeavors, Mr. Shahbazi brings original menu creations and authentic Persian flavors. Previously, Mr. Shahbazi owned and operated his own restaurant, Karoun, in San Jose, California, and was an Executive Chef for Parvaneh Restaurants in Dallas, Texas. Mr. Shahbazi has received critical acclaim and has been featured in the Star Tribune and Law & Politics for his original, flavorful creations. Registration includes dinner, non-alcoholic beverages, Persian tea, tax, and gratuity, and a cash bar. Advance registration and prepayment required. Presented in partnership with the Iranian Culture House.